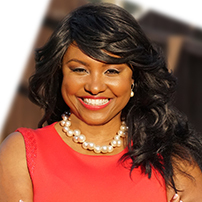 Talitha Batts holds a Bachelors degree in Political Science & English, a Computer Technology & Telecommunications Degree from ECPI University and certifications in Leadership, Executive Coaching and Speaking from the United States. She is the President and Creator of the “Success Outside The Box” brand of which she hosts a successful Talk Radio Show highlighting entrepreneurs and giving them a platform to tell their stories, give advice and market their products & services. She facilitates a series of international workshops, coaching startups and seasoned business owners on how to excel and take their businesses to the next level. She is the Chief Marketing Advisor of Quintessential Business Group educating women and girls about business development through entrepreneurship. She is a Nominated Change Maker for The United State of Women, The White House Summit. Talitha continues to excel and deliver, taking the Success Outside the Box brand to heights unimaginable.